Adams County residents can enjoy complimentary admission to the Gettysburg Heritage Center on Monday, January 16, Martin Luther King, Jr. Day. The facility will be open from 9 am – 5 pm to visitors, with the last entrance into the exhibit at 4:00 pm. The invitation is extended to all residents living within the county, not just those with a Gettysburg address. The Heritage Center chose to follow the lead of the Gettysburg Foundation and Gettysburg National Military Park, and offer complimentary admission to the Adams County community. Throughout the year, the Gettysburg Foundation and Gettysburg National Military Park designate community appreciation days, which allow locals to enter at no charge. Local guests should be prepared to show proof of residency, upon entering the Heritage Center. The Gettysburg Heritage Center will continue to offer complimentary admission year-round to Gettysburg residents with at 17325 zip code. The focus of the Gettysburg Heritage Center is on the town and the civilians of Gettysburg, before, during and after the Civil War. 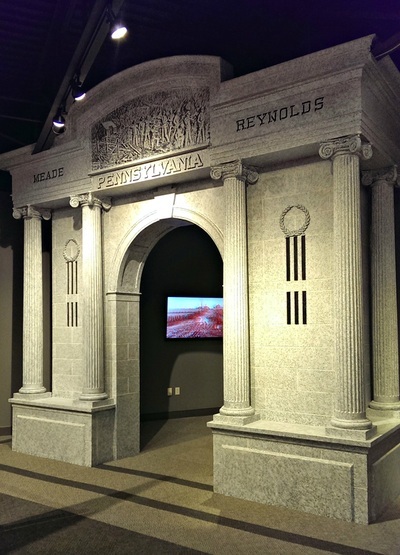 The story of Gettysburg unfolds for guest through interactive displays, 3-D programming, and historic artifacts. Much of the success of the museum is due to various partnerships, including the Adams County Historical Society and the Civil War Trust. The Gettysburg Heritage Center is located at 297 Steinwehr Ave., Gettysburg, PA. For additional information visit www.GettysburgMuseum.com or call 717-334-6245. ﻿Gettysburg, PA – The Gettysburg Heritage Center will welcome several authors and artist during the annual Gettysburg Anniversary weekend. Visitors will be able to meet with several historians at various times July 2 – 5, 2015. Those in attendance offer a diverse look at the Civil War, from mourning jewelry to battlefield strategy, there is something for everyone. Among those scheduled to attend is Lt. Col. (ret.) Ralph Peters of Fox News, and author of “Cain at Gettysburg”, “Hell or Richmond”, and most recently, “Valley of the Shadow”. The event will begin at 7:00 pm with a presentation entitled, "Decision in the Shenandoah: Sheridan vs. Early,” followed by a book signing by Lt. Col. Peters. Guests are encouraged to arrive early for seating. Copies of Lt. Col. Peters’ books are available at the Heritage Center. Several other authors will be in attendance throughout the anniversary weekend including, Garry Adelman, J. David Petruzzi, Steven Stanley, Jim Hessler, Wayne Motts, Chris Brennamen, John Archer, Frank Varney, Tom Ryan, Tom Clemens, and Ed Alexander to name a few. Additional authors may be added to the schedule. In addition to the authors, two talented artists will showcase their work at the Heritage Center. Sculptor and veteran Andrew Chernak will be available to talk with guests, and will have available his pewter collection. Victorian hair jeweler Lucy Cadwallader will display her hair jewelry, and will have pieces available for sale. For a more personal touch, Lucy can take orders using your hair, or that of loved ones. Guests are able to pre-order any books or artwork prior to the event. Shipping is available for those unable to attend. To place an order, contact the Gettysburg Heritage Center at 717-334-6245 or shop online at ﻿www.GettysburgMuseum.com. The Gettysburg Heritage Center is located at 297 Steinwehr Avenue, Gettysburg, PA 17325. Gettysburg, PA – The Gettysburg Heritage Center will take a unique look at the Civil War, the people, and their culture every Saturday from Memorial Day through Labor Day. The “Saturday Spotlight Programs” offer visitors a concise look at a specific area of Civil War history. Presenters such as licensed battlefield guides, first-person interpreters, musicians, historians, and many others utilize their knowledge and talents to delve deeper into Civil War history. The “Saturday Spotlight Program” will change each week, showcasing a different aspect of the Civil War. Programs vary from musical performances, to cooking demonstrations, and discussions about the battle and the civilians. This year marks the 100th Anniversary of the Licensed Battlefield Guides. Incorporated in our programming is the “Second Saturday Centennial Celebration”. Join us the second Saturday of each month, as a Licensed Battlefield Guide offers the “Saturday Spotlight Program”. All programs are suitable for the entire family. Tickets are on sale now, and can be purchased at the Gettysburg Heritage Center, or online at www.GettysburgMuseum.com. General admission is $10 per person, $6 ages 6 - 12, under 5 is free. It is recommended to purchase tickets in advance, to secure seating. The Gettysburg Heritage Center is located at 297 Steinwehr Ave., Gettysburg, PA 17325. Visit www.GettysburgMuseum.com for more information, or call 717-334-6245. *Schedule subject to change. Additional presenters may be added to the calendar. Visit www.GettysburgMuseum.com for the most up to date listing of events. 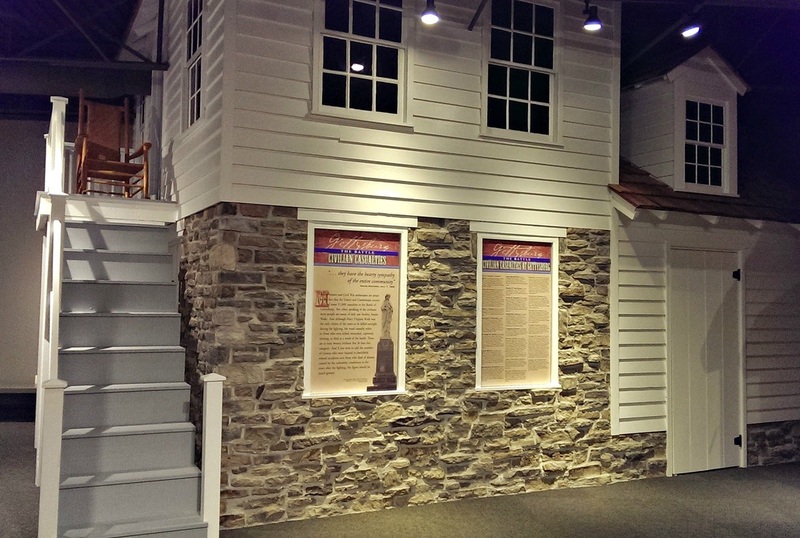 The new Gettysburg Heritage Center, formerly the American Civil War Wax Museum, will open its doors to the community December 20 – 31 for a free preview. The Gettysburg Heritage Center has undergone major renovations throughout the year, and is eager to show local residents the transformation. The new facility offers visitors a different perspective of the town of Gettysburg through the eyes of the civilians that lived during the three-day battle. Upon entering the Heritage Center, visitors will find it open and welcoming. Small town facades, such as a train station, general store, and a theater marquee greet guests. 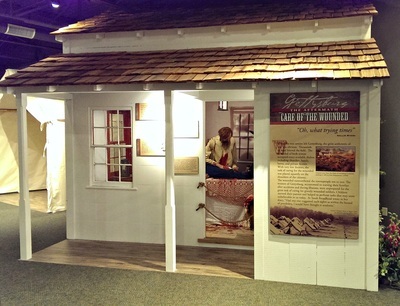 The exhibit space takes visitors back to the town of Gettysburg on the eve of the battle, highlighting daily life for those who called it home. 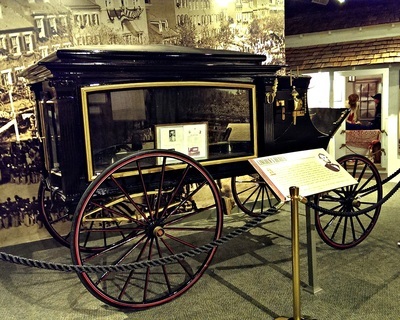 The reality of war, and the aftermath of the battle come to life with the use of 3-D programming and authentic displays, including the hearse that transported President Lincoln in Washington D.C. after his death. Interactive displays, and historical artifacts and documents will be added in the spring of 2015 to enhance the experience. The tour concludes with the Civil War Trust’s award-winning Battle of Gettysburg: Animated Map; a high-definition, 20-minute movie that gives an excellent overview of the three day battle. “Those who have seen our new exhibit often comment that there is nothing else like it,” explains Gettysburg Heritage Center President Tammy Myers. “Visitors will learn about the town, the people, and hear their stories”. Renovations to the facility began in January 2014, bringing together several members of the community and local businesses. Early in the developmental phase, Main Street Gettysburg facilitated the strategic planning process for the property. Sharrah Design Group of Gettysburg oversaw the project, with much of the work being done by local contractors such as Mark Austin Building and Remodeling, Ketterman Electric, A/V Solutions, Graphcom, Licensed Battlefield Guide Tim Smith, Licensed Town Guide Joanne Lewis, and graphic artist Steven Stanley to name a few. The Civil War Trust, the Center of Civil War photography and the Adams County Historical Society also collaborated in the creation of the new exhibit. The community preview is open to the public. Residents are invited to bring family and friends to tour the exhibit. Hours of operation are daily, 9 am – 5 pm with the last entrance time at 4:15 pm. Christmas Eve and New Year’s Eve operating hours are 9 am – 1 pm with the last entrance at 12:15 pm. The Heritage Center is closed Christmas Day. 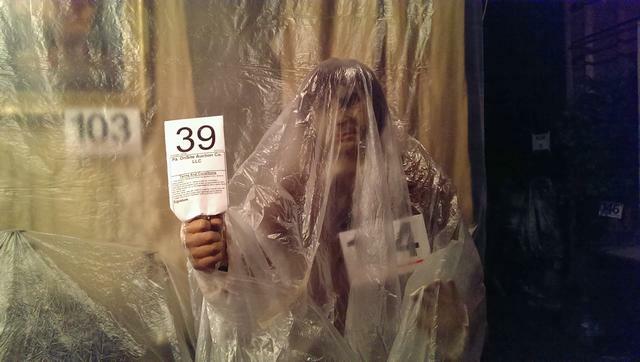 Wax Museum Auction, Once in a Lifetime Event! 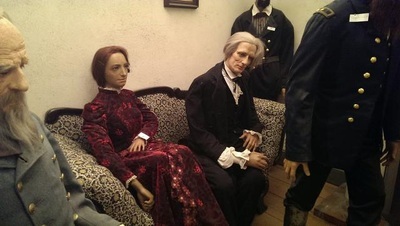 Gettysburg, PA – Auctions are very common; however a wax museum auction is a once in a lifetime event. 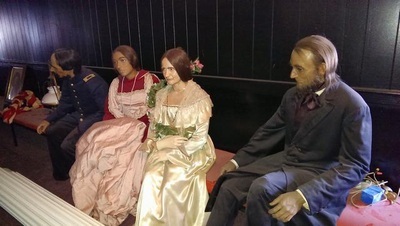 The Gettysburg Heritage Center, formerly the American Civil War Wax Museum, is preparing to auction off the contents of its museum on March 15 beginning at 9 am. Now under new ownership, the museum will refocus its storyline to that of the town before, during and after the battle. The auction will allow the museum to re-develop the space, updating it and making it relevant to all visitors. 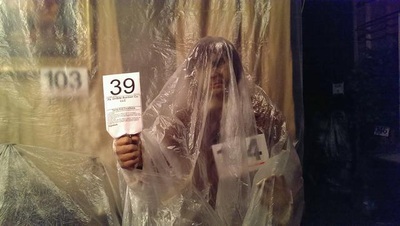 There will be three opportunities for the public to preview the items for sale prior to the auction. Wednesday, March 12 from noon till 5 pm, Thursday, March 13 from 4 pm till 8 pm, and Friday, March 14 from noon till 5 pm. The auction will be conducted by PA Onsite Auction Co., on Saturday, March 15 beginning at 9 am sharp. The snow date will be Sunday, March 16. To view the catalog, visit www.paonsiteauctionco.com. The Gettysburg Heritage Center will begin working on the new gallery immediately following the on-site auction. It is expected to open sometime in June. Renovations to the gift shop and theater are currently underway, and are expected to open to the public in mid-April. The Gettysburg Heritage Center is located at 297 Steinwehr Ave., Gettysburg, PA 17325. Visit online at www.GettysburgMuseum.com, or on Facebook at Gettysburg Heritage Center.